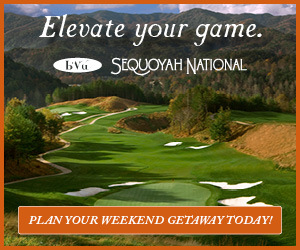 Download the Sequoyah National Golf Club mobile app to enhance your experience. Mobile apps contain many features like scorecard, GPS, tee times, news, deals and more! Click on the icons for more information and free download. 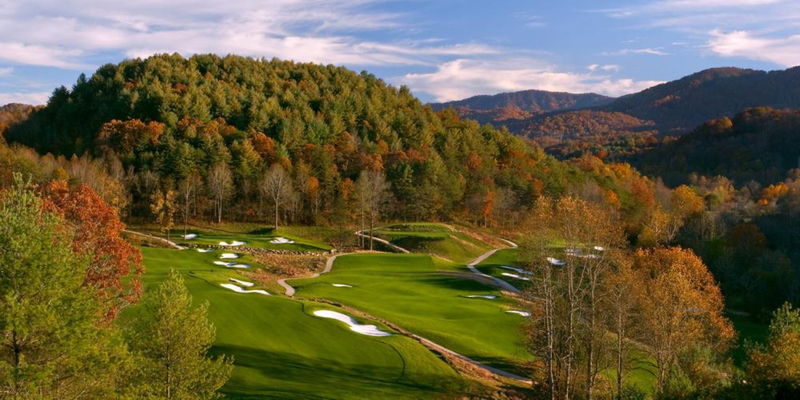 Located 45 minutes west of Asheville, North Carolina and nestled among the oak, fir and flowered valleys in the heart of the Great Smoky Mountains resides Sequoyah National Golf Club. 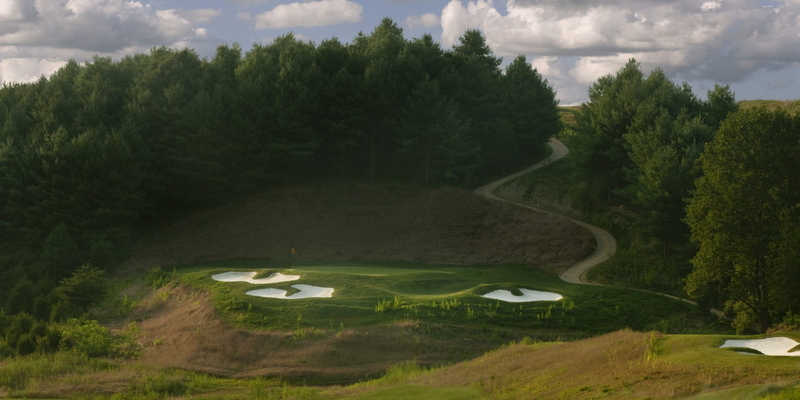 Owned by the Eastern Band of the Cherokee, this Robert Trent Jones II design offers golfers an idyllic 18 hole journey, filled with scenic vistas, beautiful landscapes and challenging golf. 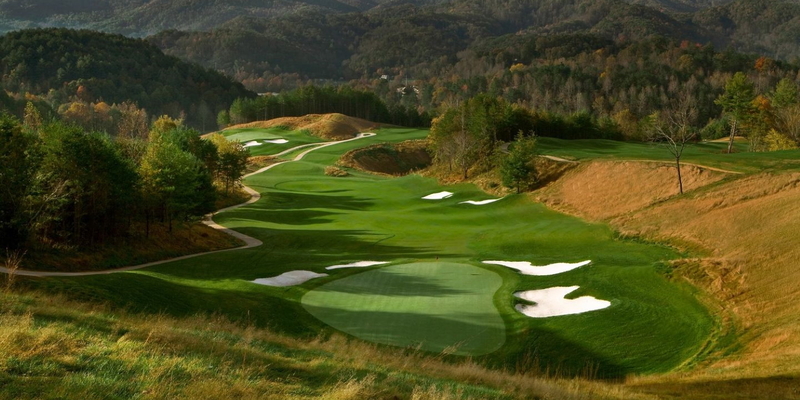 This par 72 championship course, measuring 6,600 yards features immaculately groomed bent grass greens with bluegrass fairways, offering spectacular views of the Great Smoky Mountains National Park, while providing ultimate playing conditions year round including an expansive practice area including a driving range, putting greens, chipping area and Callaway Golf Club fitting by certified PGA Golf Professionals. The golf shop offers a full range of men's and women's golf apparel. Enjoy a relaxed lunch or afternoon beverage on the outdoor deck with 180 degree views of the Great Smoky Mountains. 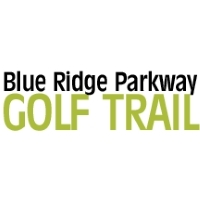 The surrounding community also provides golfers a welcoming environment that is rich with Native American culture, and exciting year round attractions. Contact Sequoyah National Golf Club at 828-497-3000 for more information and details on holding a golf outing at the course. Don't miss the action and excitement at Harrah's Cherokee Casino & Hotel. From brand-new games and slots to dazzling favorites like Digital Blackjack and Baccarito, we've got it! No matter what you're looking for, you'll find it at the Cherokee! 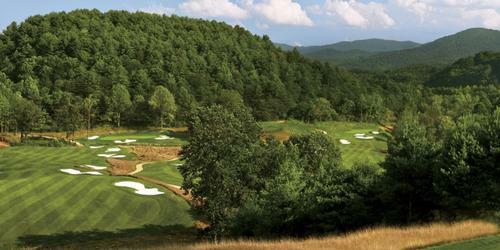 Contact Sequoyah National Golf Club at 828-497-3000 for onsite or nearby dining options. This profile was last updated on 03/19/2019 and has been viewed 19,170 times.